In a world where the gap between the “haves” and “have nots” is increasing, what the rich and powerful do to bridge this gap is important. Lei Jun – the founder and CEO of Xiaomi, a Chinese smartphone-making company, has decided to donate £750m worth of shares received as part of his bonus to charity. This will be one of the largest ever pledges made by any company executive. 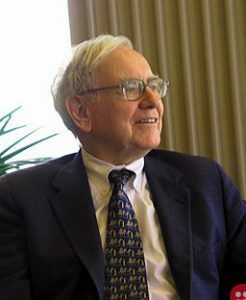 The Berkshire Hathaway CEO and Chairman, Warren Buffett has pledged to donate 99% of his wealth towards philanthropy. His areas of philanthropy works include health, education, children, and economic development among others. He has pledged most of his wealth to the Bill and Melinda Gates Foundation, an organization established by fellow billionaire Bill Gates and his wife Melinda. The rest will be donated to the organizations set up by his children for social welfare. 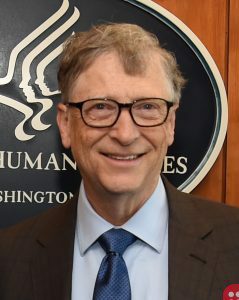 Regarded as the torchbearer of the philanthropic activities, the Microsoft founder is not just among the toppers of the world richest persons’ list but also on the list of the biggest philanthropists. Gates has not just given out his wealth for charity but he has also taken a step ahead by directing this money to bring maximum impact. The Bill and Melinda Gates Foundation has done some great work in the areas of health, growth, opportunities, and public policies. Ask the husband-wife duo of Bill and Melinda as to what motivates them to do this, and they say it gives them “purpose.” The billionaire couple has also encouraged fellow billionaires to pledge their wealth by starting the Giving Pledge campaign. Michael Bloomberg dons many hats. 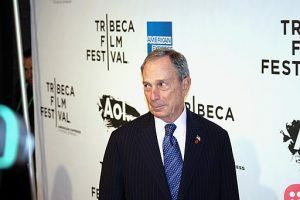 Businessman, author, and politician, Bloomberg took to philanthropy early on. All his philanthropic activities are grouped under one umbrella – Bloomberg Philanthropies. Its focus areas include health, environment, education, innovation, and arts. In November 2018, he gave away a whopping $1.8 billion to John Hopkins University because he believes strongly about education and believes that no deserving student candidate should be devoid of quality education because of financial constraints. The Mexican business mogul was initially against the idea of philanthropy and believed that only education and jobs can uplift the world. He didn’t support the Giving Pledge campaign. 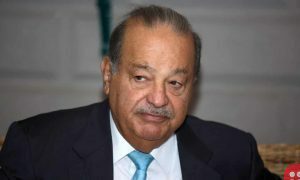 However, in the past few years, Slim has taken to philanthropy in a big way through his foundations Fundación Carlos Slimand Fundación Telmex. The organizations work for diverse causes like education, culture, sports, and health. Founder of one of Asia’s most valuable company Tencent, Ma Huateng leads the list of Asians that contribute massively towards philanthropy. He gave away his 100 million shares of Tencent worth $2 billion in 2016. The money would go towards environmental, educational and medical causes in China. These business tycoons may be spending billions of dollars towards philanthropy. But philanthropy is much more than donating money; it is about contributing our bit to make the world a better place to be in. YOU and I can do it too!